Speaking yesterday at the ground-breaking ceremony for the Latin American and Caribbean region's largest solar-powered plant system, Dr Wheatley noted that with Eight Rivers selling energy at 8.53 US cents per kilowatt hour to the Jamaica Public Service, it augurs well for customers. “And so, this US 8.53 cents per kilowatt hour is the lowest in the region,” Wheatley continued. The minister went even further to say he anticipates that the price will be less than 8.53 US cents per kilowatt hour later on. 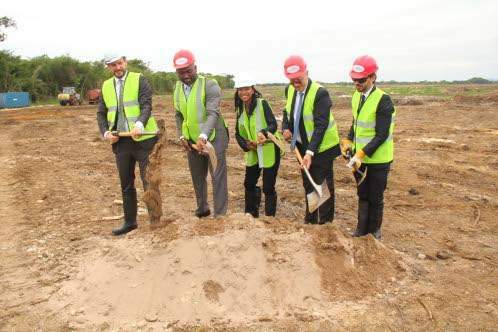 Meanwhile, Angella Rainford, one of the directors of Eight Rivers Energy Company, outlined that the solar-powered plant, jointly sponsored by a French and a German company, will generate savings in the economy.